To be fair even in my most pessimistic days i didn't expect things to be this bad. It pains me to see what they've fallen to. I've only a little idea of what's wrong that I've read on this forum, and from the few journalists I trust. They seem totally lost though, and that can't be good at this time of the year ? They should be thinking about next year's car already, not still working out this one. The big teams will be by now. Yeah, this is very sad. As a Williams fan since the glory days of 90's it was already tough to adjust to a mid grid life... but this is too much honestly. I think they should sell the team before bankrupcy. Did anyone read crazy Jacques Villeneuves comments about Williams? He was saying he thinks that Jonathan should have been given the reigns, not Claire. I know very little about Jonathan, what's his background? I also no nothing about Jonathan but more importantly who keeps asking Jacques Villeneuve questions. Talks more rubbish than Martin brundle. People can dismiss Villeneuve as crazy all they like, but when you have a team in this kind of trouble and when you have a top driver who, even injured, is almost certainly better than the two paying donkeys they have in there just how motivated is he going to be to help them and why should he bother? Driving is a selfish business and people are exceptionally naive if they think that kind of thing doesn't go on. As for Claire Williams, as much as I don't think she's right for the job the rot set in a long time before she ever got anywhere near the place. Over the years they have simply recruited the wrong people. Paddy Lowe is a mullah from McLaren, and a charlatan. He's not qualified to be a Technical Director and is hopelessly out of his depth now that de Beer and Ed Wood have gone. 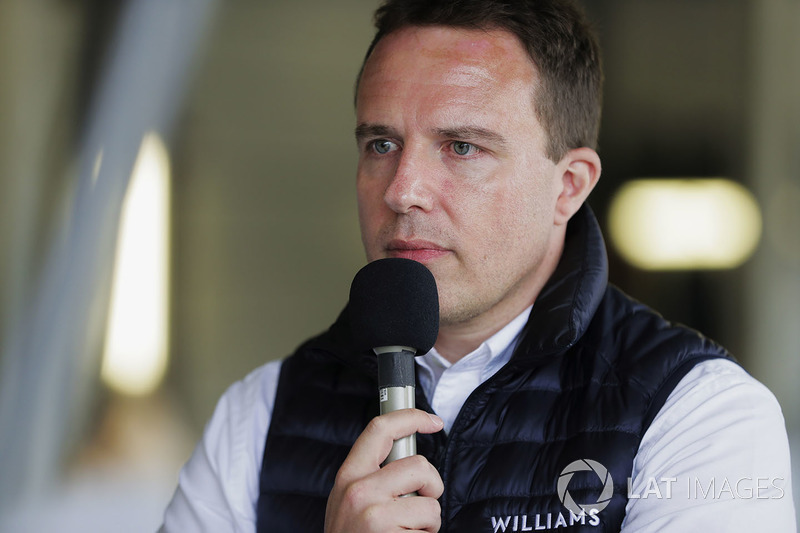 By rights, he should have been fired as well since he is ultimately responsible for setting the direction of the car but he is now entrenched at Williams as a shareholder. The current car is such a massive aerodynamic mess that the only person I could see coming in and doing something with it this season is Adrian Newey. The current lot have no clue. This is about as serious as it gets. The end result of this is we could see Williams drop off the grid so they cannot abandon this car. when you have a top driver who, even injured, is almost certainly better than the two paying donkeys they have in there just how motivated is he going to be to help them and why should he bother? I just would like to see one of the actual drivers sit out for one race. Just to see what Kubica would do different. 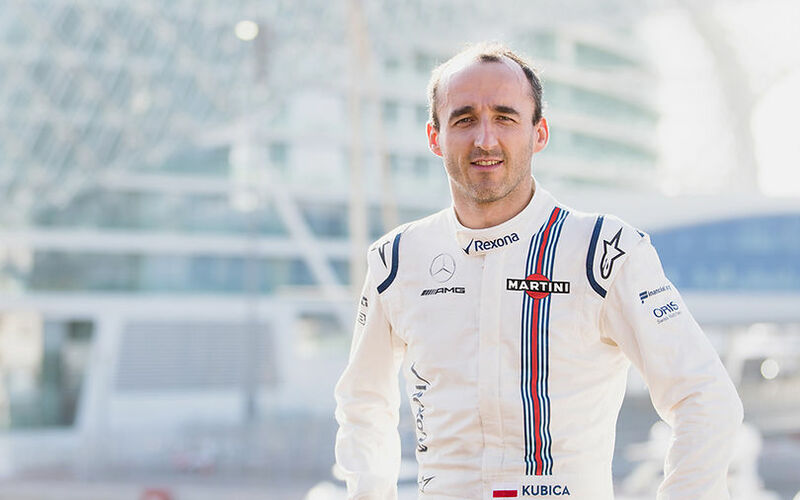 The car is bad, and Kubica wouldn't do much better then Stroll or Sirotkin. Mind you, to cut the drivers some slack that car must be utterly unpredictable to drive. They just won't know how much grip they have when they arrive at a corner. First and foremost because literally ANYBODY would have done a batter job @ Williams than her. I'm gonna kick somebody in the ovaries here surely, but i'm pretty sure Jonathan also wouldn't have monthly issues, nor 9 month diversion nor the trouble that comes immediately after or at the end of those 9 months. but it's also something that in the world of F1, is not a 'minor thing'. And for those who don't know who Jonathan is, he is Claire's brother. Frank's son. Leaving aside the other stuff, has he spent time in the team? Clare spent several years shadowing Frank as well as doing her own job. I can recall seeing her about for the best part of a decade, 5 years at the pit management position. enough to get williams back from a previous slum to get it back on it's feet. in all cases, it testifies her incompetence. eric bouillier for example has been dumped in much shorter time. so has whitmarsh. the only other person that has been left at at the helm of a team, despite having incompetance written all over them from day 1, all the way through embarassing years of failure, empty promises, and turning a former respectable team into plum-last hole of sadness has been - ironically - another woman, Kaltenborn. All it took was to remove those incompetent people from their jobs, and in absolute no-time the team boosts right back up, lifted morale, happy workers, good spirit, and dusting off the former sorrowness to show new shine, new capacities, all thanks to not just qualified, but competent people. one thing is clear as day; claire williams is NOT competent for the job she has. as such, the whole team goes down. the solution is, in all reality, very simple. remove the incompetence, and replace it with somebody competent. Claire may be fantastic pr-person, absolutely great person, but she is NOT fit for the job. I'd actually like to see paddy lowe take her position. I think he'd do a much better job at that. He may not be the most convincing and charismatic person when a camera is slammed into his face, and despite i don't think he is some sort of wonder-doctor, he understands f1, he understands how a team works. ditch claire. ditch sirotkin. upgrade paddy's position, hire some more competent people, out with the old approach, in with the modern and new, fresh views, give kubica a race car, lift the ban on villeneuve, and for the love of god, DON't give your employees chocolate treats for doing a good job. btw, i'm far from saying jonathan would have been the right man for the job. not at all. hell, nobody in the williams family would have done a good job in running williams, the only guy that ran williams right was Frank himself when he was still physically capable. every king has it's reign, his is over. it doesn't run in the family though. Patrick Head is also sorely missed imho. The only reason Williams had a 'reboot' was because of Toto's involvement a couple of years ago. Which just shows how a difference qualified, capable people make. He wasn't even in charge there, his indirect involvement including Mercedes' benefits, obviously through both Susie Wolff and Valterri Bottas, made a world of difference. Wolff sold his stake in Williams, Susie out, Bottas gone and look what pathetic misery the team is again. Ditching Massa for Sirotkin was the final nail in the coffin. With the way they run the team, they deserve drivers like sirotkin, and being dead last. They deserve drivers like friggin ericsson or guiterrez. it's heart-breaking and sad as hell knowing this once was that legendary team that used to be 'the place to be'. Whatever man. Too ignorant to learn. Too easily triggered over nothing. Yeah, Williams 2018 is literally Claire Williams' transformer shape. OK, you think Claire is not the right person for the job. To some extent I agree with you. She was 'trained' for want of a better word, by Frank, and that is her 'qualification'. It has to be better than 'running a museum'.? To be fair, he does specifically say that he's not saying Jonathan would do any better a job.